Task automation tools are at the heart of efficiency nowadays. Zapier vs IFTTT are two of the most popular tools being used right now- but choosing between the two may put you in a difficult situation. Both Zapier vs IFTTT are great options that will help you or your business get from cause to effect without much effort on your part. You will find yourself getting things done much faster, without the hassle of switching from application to application. And we’re here to help decide which one’s best for you! We’ll examine the key pros and cons for each software, as well as similarities between the two, helping you make your decision on which task automation tool to pick. Both tools share the main purpose- they act as the string that ties different clouds together. 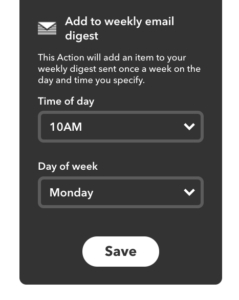 On both Zapier vs IFTTT, you are able to select an event on one application that will trigger a different event on another application, or maybe even the same application. Both come with a library of already made triggers that are quick and easy for you to use for your own purposes. This takes away the hassle of having to think of cause and effect relationships that you may need. If you can’t find something you’re looking for, however, there’s always the option of creating your own. The best thing Zapier vs IFTTT has in common is that they’re free to try. You can take some time to play with both tools without the pressure of adding in your credit card information. Past those few points, Zapier vs IFTTT diverges into two very distinct directions- professional vs. home. As you read on, this distinction should make deciding between the two somewhat easier. Zapier calls the combination of trigger and action a zap. 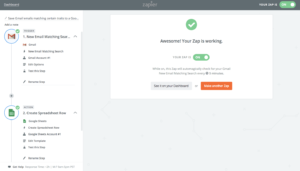 One of Zapier’s most distinct features is the ability to create multi-step zaps. 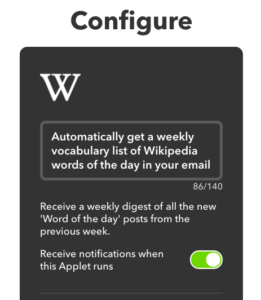 This means that one trigger can cause multiple actions, on multiple different applications, unlike IFTTT. So, if you want to get an email and a Slack message every time someone fills out your Typeform, you can! Zapier beats IFTTT in a number of hosted applications by a landslide. With more than 750 integrations, Zapier ensures you will find whatever you need, especially if the application is business related. Zapier also makes it easy to find any app you may need by providing a hierarchal search system, rather than having to skim through a long list. However, even though Zapier has a pleasant design and a somewhat easy-to-use user interface, it is still not as simple as IFTTT. It can also lag at times and is known to have some bugs. In comparison to IFTTT, Zapier has a very distinct audience. I would recommend Zapier to businesses of any size for professional use. Most of its apps cater to sales, marketing, and IT departments. It’s complex abilities like multi-step zaps and filters give businesses the flexibility to automate tasks specific to their operations, making business much more efficient. Zapier also allows entire companies to sync their accounts unlike IFTTT, which is limited to an individual account. So if you’re looking for a task automation tool for your business, then Zapier is the obvious choice. IFTTT operates on a “recipe” system. Basically, you create an “if” and a “do,” and then link the two in a recipe, much like a zap. As you can see from the images above, IFTTT’s design is clean and visually appealing. 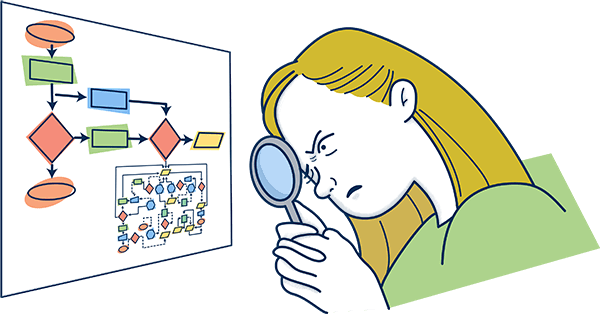 Beyond looks, it is also super intuitive- requiring almost no effort to learn. 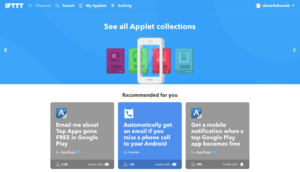 Unlike Zapier, IFTTT has a desktop app, iPhone app, and Android app in addition to its web-based app, making it easy to use from any device, anywhere. IFTTT offers significantly fewer integration options than Zapier, 300 vs. 750. IFTTT’s main selling point is, however, is the different type of integrations: apps that help with your personal life, as opposed to running a business. For example, with Garageio and Hue, you can manage your garage doors and home lighting remotely. IFTTT keeps an organized library of all the recipes you have made in the past, to boot, which makes it easy for you to reuse or reapply any of them within seconds. The free trial option is not nearly as limited as Zapier’s, which only allows you to make 5 zaps. Meaning, you can use IFTTT for free forever and don’t feel like a free user. Where IFTTT falls short is its limited capacity when it comes to customization and complexity. You are only able to link one trigger to one action (one “if” to one “do”). So, if you want to be emailed AND Slack messaged when your Typeform gets filled out, you can only achieve that through Zapier. Finally, It’s also not organisation-friendly – actions happen within only one account. For example, if you want to be emailed every time POTUS signs a bill into law, you can only send that email to one account, rather than being able to send your whole team an email. IFTTT is a casual task automation tool. Because it’s practically free and easy to use, anyone can pick it up without any onboarding hassles. Thus, if you are an individual who fears intense software, IFTTT is the right choice for you. I would strongly recommend IFTTT to single users for personal-use, because you can only use one account at a times and the majority of applications you can integrate aren’t heavily used in the business world. If you just want some convenience in your life, whether it’s getting the Wikipedia word of the day emailed to you every day, or your phone volume turned up when you can’t find it, IFTTT is the better choice for you. When it comes to Zapier vs. IFTTT, both make it easy to automate your tasks, business or personal, at the click of a finger. Again, you can’t go too wrong by choosing one or the other. However, because of their distinct features, you may find that one suits your needs much better than the other. 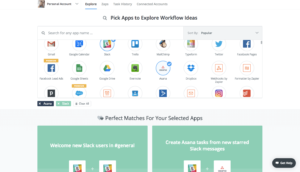 Zapier’s abundance of integrations ensures your business, especially your sales, marketing, and IT departments, will find exactly what they need. Zapier’s complex abilities including filters, multi-step zaps, and multiple app accounts, make it convenient for any size company to customize their zaps. 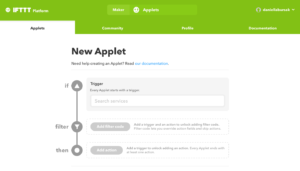 If you need a task automation tool that will analyze data, make customer support run smoothly, and organize your emails, documents, etc., Zapier reigns supreme over IFTTT’s casual capabilities. IFTTT is definitely the better choice for individuals wanting to automate their personal tasks. If you are looking for a task automation tool for your business, IFTTT is not for you. IFTTT’s simple UI makes the tool accessible to anybody- creating a recipe is easier than writing an email. IFTTT is extremely easy and quick to sign up for, and you get access to tons of sample recipes that you can try out, so I would recommend checking it out to get a feel for yourself. If we managed to help you decide which tool is the best for your business, perfect! If not, both software – Zapier vs IFTTT – offer free trials. So, you can always give each software a run to figure out which one works for you. Good luck choosing your perfect task automation tool! Zapier and IFTTT are trademarks of their respective owners. This is very helpful. Well written, concise and to the point. Thank you.